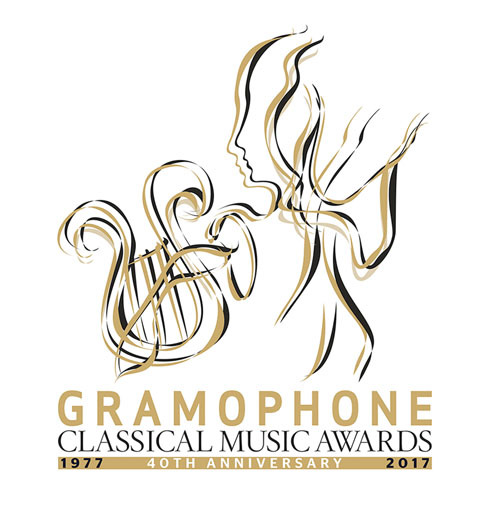 For the second year in a row, an amazing 19 albums that Tonmeisters had worked on were nominated for Gramophone awards (here's a list of year year's Tonmeister Gramophone nominations). These nominations cover almost the whole range of categories: 10 of the 12 categories included an album partly created by a Surrey Tonmeister. In both the Best Chamber and Best Concerto categories, half of the nominations were engineered, produced, or mastered by Tonmeister graduates. Particular highlights in the nominations include 1985 graduate Mike Hatch and 2007 graduate Andrew Mellor, who each had three recordings nominated for awards. In addition, regular Gramophone award winner, 2003 graduate David Hinitt had two recordings nominated for awards. A relative newcomer to the awards is 2015 graduate Rosanna Fish. Despite having only graduated 2 years before, she worked on two albums that were nominated this year, as assistant engineering and mastering engineer. Below is a full list of the nominated albums worked on by Tonmeisters. JS Bach Cantatas: Iestyn Davies / Jonathan Cohen / Arcangelo - Engineer: David Hinitt. JS Bach St Matthew Passion: Monteverdi Choir; English Baroque Soloists / Sir John Eliot Gardiner - Engineer, Mastering, Mixing: Mike Hatch. Bacewicz Complete String Quartets: Silesian Quartet - Mastering: Rosanna Fish. Bruch Two String Quintets. String Octet: The Nash Ensemble - Engineer, Producer: Phil Rowlands. Schubert String Quartets – No 12, 'Quartettsatz', D703; No 15, D887: Doric Quartet - Producer: Jonathan Cooper, Engineer assistant: Rosanna Fish. Elgar. Bax 'For the Fallen': Hallé Choir and Orchestra / Sir Mark Elder - Engineer, Producer: Steve Portnoi. Adams. Harris Violin Concertos: Tamsin Waley-Cohen / BBC Symphony Orchestra / Andrew Litton - Engineer: Mike Hatch. Beach. Chaminade. Howell 'The Romantic Piano Concerto, Vol 70': Danny Driver / BBC Scottish Symphony Orchestra / Rebecca Miller - Assistant Engineer: Robin Hawkins. Lalo Symphonie espagnole Tchaikovsky Violin Concerto: Augustin Hadelich / London Philharmonic Orchestra / Vasily Petrenko, Omer Meir Wellber - Engineer: Andrew Mellor. MacMillan Stabat mater: The Sixteen: Britten Sinfonia / Harry Christophers - Engineer: Mike Hatch. Dowland Lachrimae, or Seaven Teares: Phantasm with Elizabeth Kenny - Engineer, Producer: Philip Hobbs. 'Music for the 100 Years' War': The Binchois Consort / Andrew Kirkman - Engineer: Andrew Mellor. Chopin Mazurkas: Pavel Kolesnikov - Engineer: David Hinitt. Sibelius Symphonies Nos 3, 6 & 7: Minnesota Orchestra / Osmo Vanska - Editing: Jeffrey Ginn. Tchaikovsky Symphony No 6. Romeo and Juliet: Czech Philharmonic Orchestra / Semyon Bychkov - Executive Producer: Alex van Ingen. 'Come all ye songsters': Carolyn Sampson / Elizabeth Kenny / Jonathan Manson / Laurence Cummings - Engineer: Steve Portnoi. 'Where'er You Walk': Allan Clayton / Mary Bevan / The Choir and Orchestra of Classical Opera / Ian Page - Engineer, Producer: Andrew Mellor, Assistant Engineer: Claire Hay. Krenek Reisebuch aus den Osterreichischen Alpen, etc: Florian Boesch / Roger Vignoles - Engineer: Andrew Mellor. Sibelius 'In the Stream of Life': Gerald Finley / Bergen Philharmonic Orchestra / Edward Gardner - Editing: Jonathan Cooper. At the awards ceremony on 13th September, 3 of the above nominated albums won their respective categories. This equates to a quarter of the awards won by albums recorded, produced, or mastered by Tonmeister graduates. The winners are listed below - congratulations to all involved in both the nominated and winning albums.